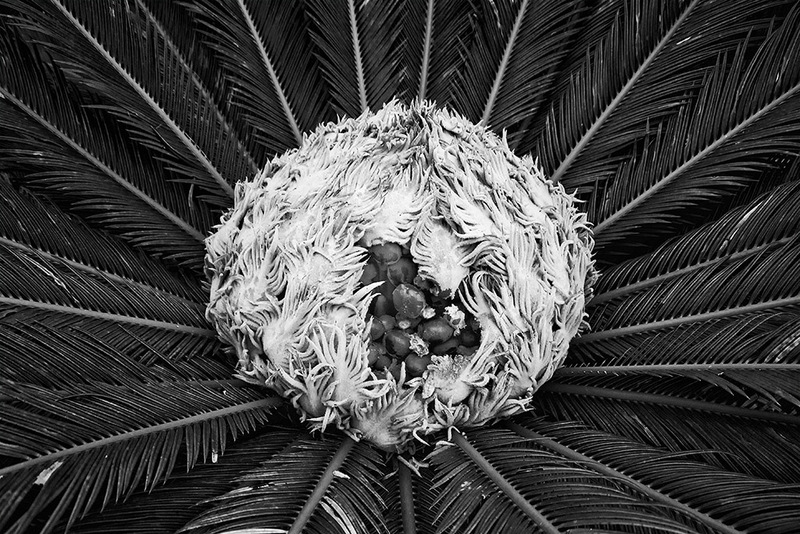 This is, what I believe, a sago palm. Exotic looking, by all accounts, for a Pennsylvanian and that’s why it probably caught my eye as I was walking past it during my visit to South Carolina. I was struck by the sheer size of the seed pod and the fanning of the fronds which were perfect leading lines to my main subject – the very alien looking pod! I guess that is not a palm but a cycad, but I am not an expert. Perhaps you are right. I just Google stuff but I should stay away from any botany statements, just to be safe 🙂 There seems to be overlaps in the web images, so maybe I’m not the only one confused! Some googling reveals that we are both right. There is a sago palm that is a real palm but the plant on your picture is also commonly called “sago palm” (or “king sago palm”) although it is not a palm but a cycad. Cycads are also called palm-ferns but they are neither palms nor ferns but a different group that has some resemblance to palms but is not closely related. In December I was in Cameroon in the botanical garden in Limbe. They have some cycads there that are over 800 years old (they grow very slowly). They where standing there already before the botanical garden was established there by the Germans more than 100 years ago. I guess they put the garden into that particular place because of these very special plants. Wow, thanks for the research! Always nice to learn new things.